A tweet from director JJ Abrams this morning revealed that the untitled upcoming Star Wars movie has concluded its filming. 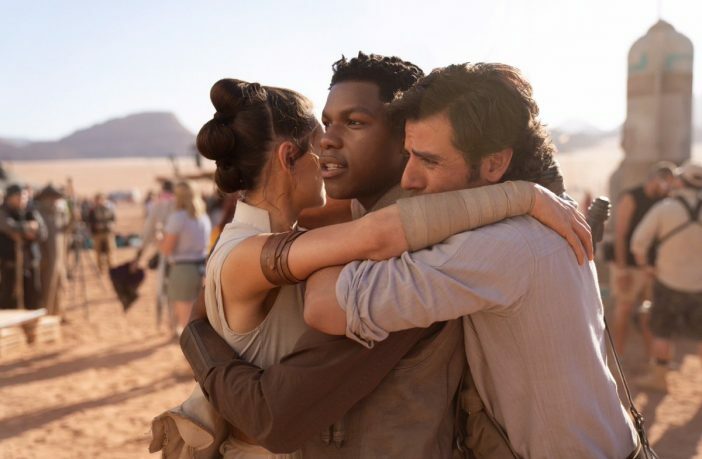 Along with expressing his gratitude, JJ also posted an emotional photo of the famed trio – Daisy Ridley, John Boyega, and Oscar Isaac – embracing in a group hug. It appears that they stand somewhere sandy. Jakku, maybe? What we’re waiting for now is a title… or maybe a teaser trailer? At least we have this precious photo to tide us over in the meantime. Star Wars: Episode IX will premiere in December 2019.